Shaun White might be back to the Olympics. But Ayumu Hirano has arrived. 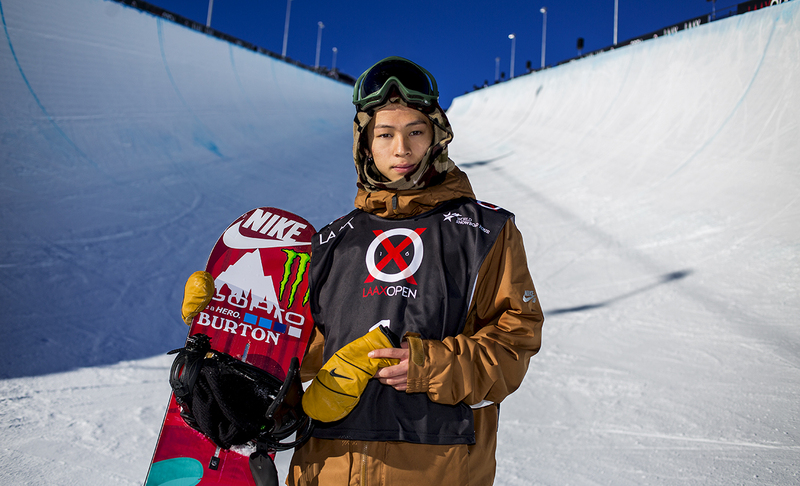 The 19-year-old from Niigata, Japan, Hirano slam-dunked his ninth and final round to win gold in the superpipe event at the Winter X Games in Aspen Colorado, on January 28, 2018. Hirano had taken the lead on another favorite, Australian Scotty James in his third round run where he scored a very high 96.66. He held the lead until his ninth and final run, where it was Hirano’s to win or lose. And based on the reaction of the two ESPN announces, Hirano won emphatically, with an amazing string of 1440’s, which I presume means four 360s, also known as 14s. Brandon: Have you ever seen a run like that in a pipe final Craig McMorris? Craig: No because it’s never been done anywhere on earth. How are you going to out-do yourself, Ayumu Hirano! Look at this! Jump man. Jump man. Jump man. I’m speechless. Brandon: I need you to say something, Craig. Craig: Ayumu Hirano. Front 14 double. Cap 14 double. Front 12 double. Back 12 double. And a backside air right off the top that’ll just drop your jaw. What planet are you from? Not earth, Brandon. Not earth. Brandon: That’s the first time we’ve ever seen back to back 14s ever. Period. Exclamation point. Hirano won the silver medal at the 2014 Sochi Winter Olympics, falling to Iouri (iPod) Podladtchikov of Switzerland. But with his triumph at the X Games, expectations for Hirano gold In PyeongChang are now sky high. Posted in Olympics, Winter Sports and tagged 2014 Sochi Winter Olympics, 2018 PyeongChang Winter Olympics, Aspen, Ayumu Hirano, ESPN, halfpipe, Iouri Podladtchikov, Shaun White, snowboarding, superpipe, Winter X Games. Bookmark the permalink.